Lam Sence jewelry is minimal and made for everyday wear. Our designs are timeless and complement any style without overpowering it-because there is beauty in simplicity. 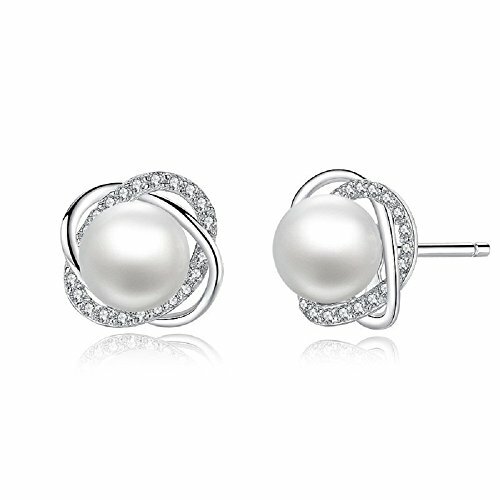 The pearl stud earrings are designed with a Four-Leaf shaped.Simple,natural and chic. the four-leaf and the pearl is the combination of luck and grace,inlaid with bright little AAA glittering cubic zircon.Affordable Luxury stly with this product. If you have any questions about this product by Lam Sence, contact us by completing and submitting the form below. If you are looking for a specif part number, please include it with your message.